It is also possible to download this example if you think this is to much text to read. 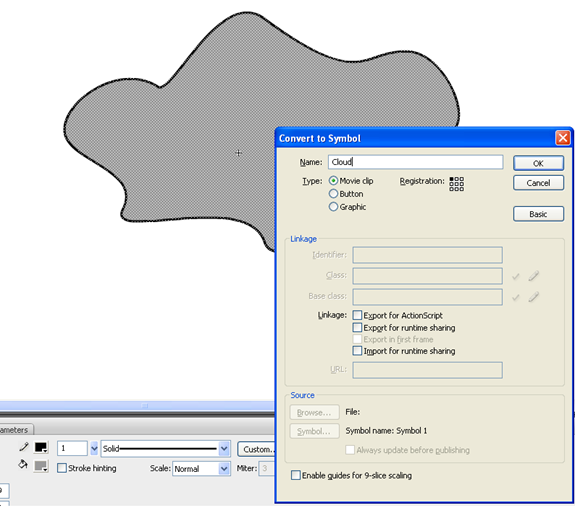 Go in the main menu in Flash to “insert > New Symbol.. 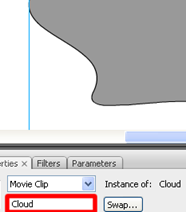 Select the whole cloud, Click right mousebutton and choose for “convert to symbol”. This is an important step: fill the “instance name” of your brand new cloud symbol and call it “Cloud” like below. If you forget this step you can’t call this symbol in Flex. 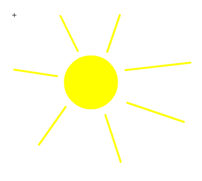 Repeat step 5 till 8 and draw a nice sun and call the symbol “Sun”. Click now on “scene 1”. If you don’t see the Cloud and Sun on the stage you have to drag the “WeatherComponent” from the Library to the stage. 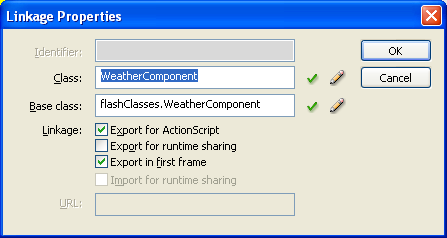 Now we select “WeatherComponent” in the Library and go in the main menu to “Commands > Convert symbol to Flex component”. 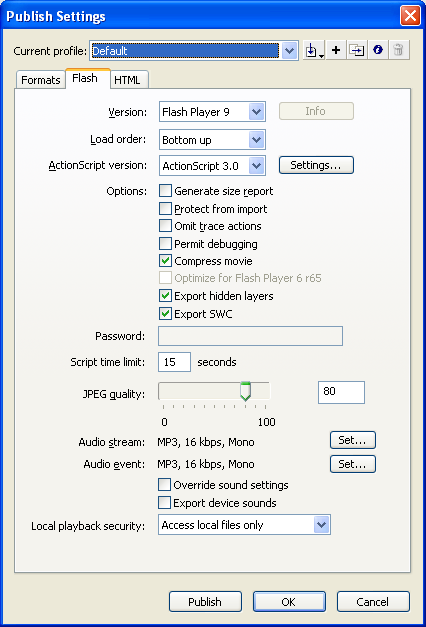 Flash asks if you want to change the Frame rate to 24, that is oke so click “OK”. Now we go to Flex to create a project but leave Flash open. Now create 2 folders in the just created Flex project: “libs” & “com”. Now create in the “com” folder another folder called “flashClasses”. Now we continue with Flash, open Flash again. 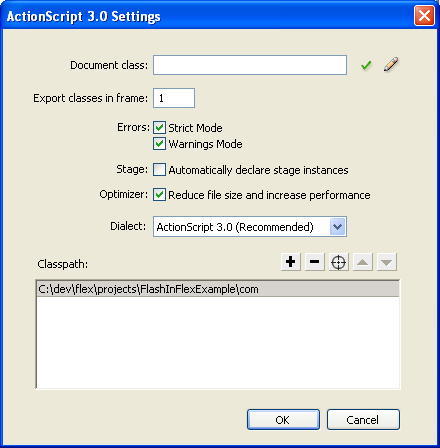 Create a new “ActionScript File”. You can do this in the main menu “File > new… > ActionScript File”. Sometimes he gives a weird error when you click “OK” and I don’t know why. Just click “Cancel” and “Ok” again. Now we go to Flex and create a “source path”. Go in the left menu to “Flex build path”. After this you select “Source Path” on the right side. Click on “add SWC folder…” and browse to your flex project. Select the “libs” folder and click “OK”. 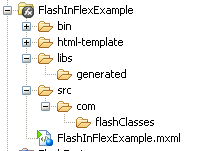 Now we start editing “FlashInFlexExample.mxml” in Flex. Nice now we can show Flash in Flex. If you now compile the application again and play around with the radiobuttons you see that you can change the visibillity of the Sun. You can do the same with the Cloud. Use the setActualSize() methode. This is called when the Flash component is resizing. I have made an example that is downloadable of this tutorial. You can download it an import it into Flex Builder. In this example I show the “problem” with the auto adjust. Interesting post and blog, congrats! Very nice tutorial, very useful for me, thanks! Difficult to say from here. But it is going with the things Flex is using. Are you exporting the swc (you have to rebuild this every time you change something in the Class code of the weather component. Do they have a instance name? 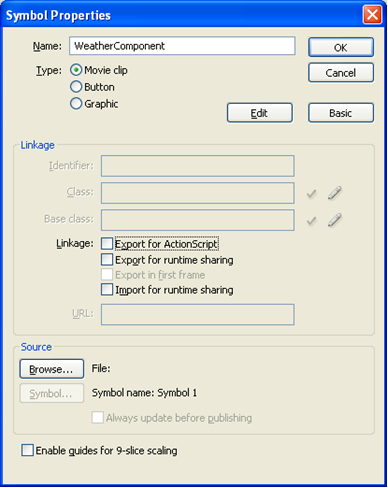 Did you add the source path in Flex? You can do everything over again or download my source code to see if that works and compare it to your code. Using Flash in Flex stays a very complex process and it can go wrong in many ways. Yes I’ve done all the thing you mention above. But if I want to instanciate the symbol on the stage if fails… Quite annoying since you have to set the x and y etc. props by code.